Today my order from modes-4-u arrived! I was actually super surprised to see it, as I wasn't expecting it for another week or so yet. Thanks modes-4-u! 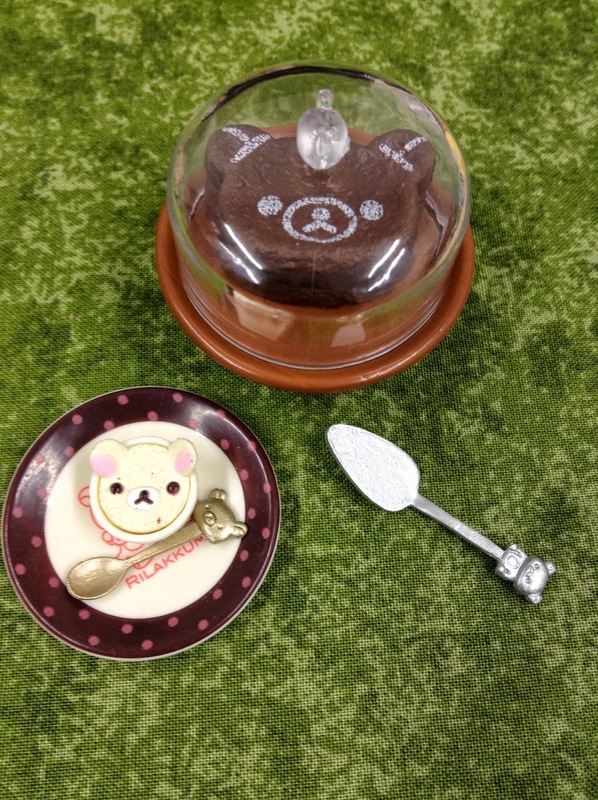 I bought 3 x Rilakkuma Chocolate cafe re-ment blind boxes, and one Hello Kitty Coffee Shop re-ment blind box. And I got a free gift too, which I won't reveal, in case you plan on buying something (which I SERIOUSLY recommend - this company rocks). 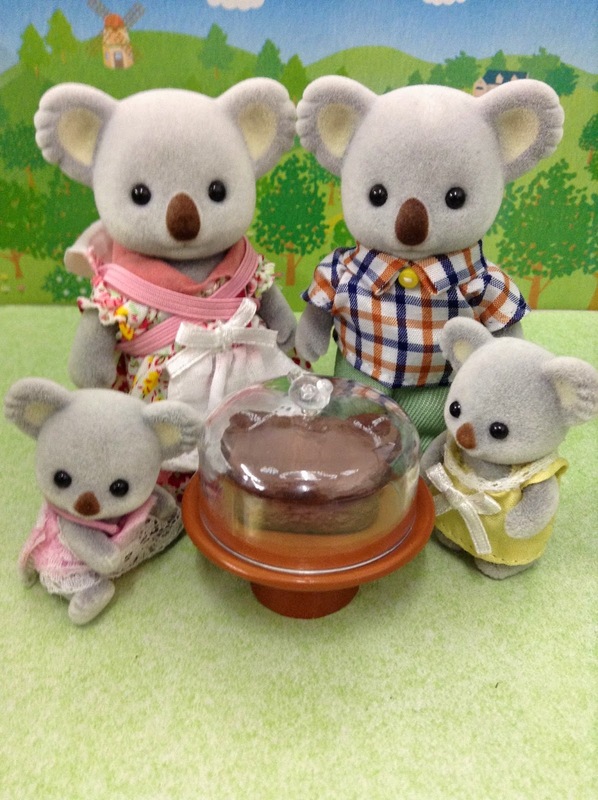 The Outback Koalas are modelling today, as they'll be using these sets to boost the upcoming opening of their as-yet-unnamed cafe! 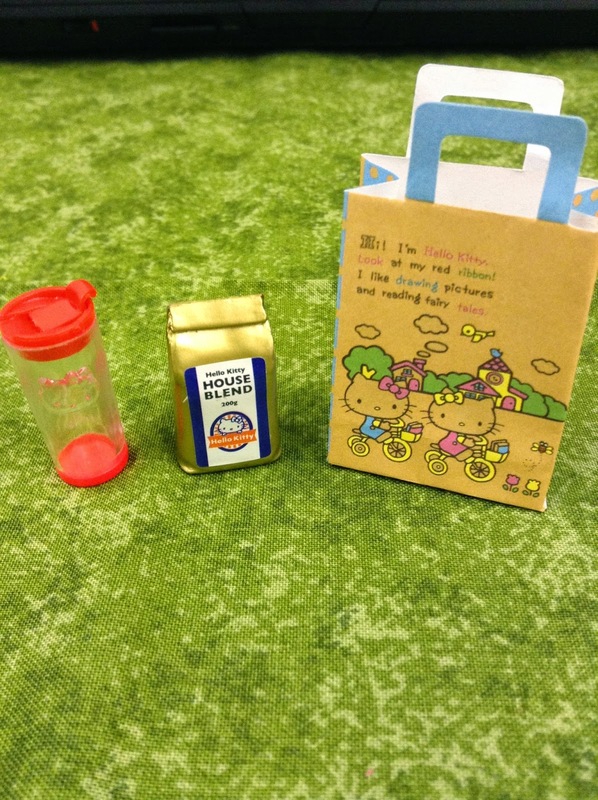 Set 9 of the Hello Kitty Coffee Shop series contains a sweet little shopping bag, a bag of the HK House Blend coffee and a coffee tumbler. I love the detail on the coffee packaging, as the bag looks creased in a very genuine way. The lid of the coffee tumbler has a lifting lever, to prevent spills. Very cute, but I was slightly disappointed with the lid - as it wasn't of particularly high quality, and I can see the glue. 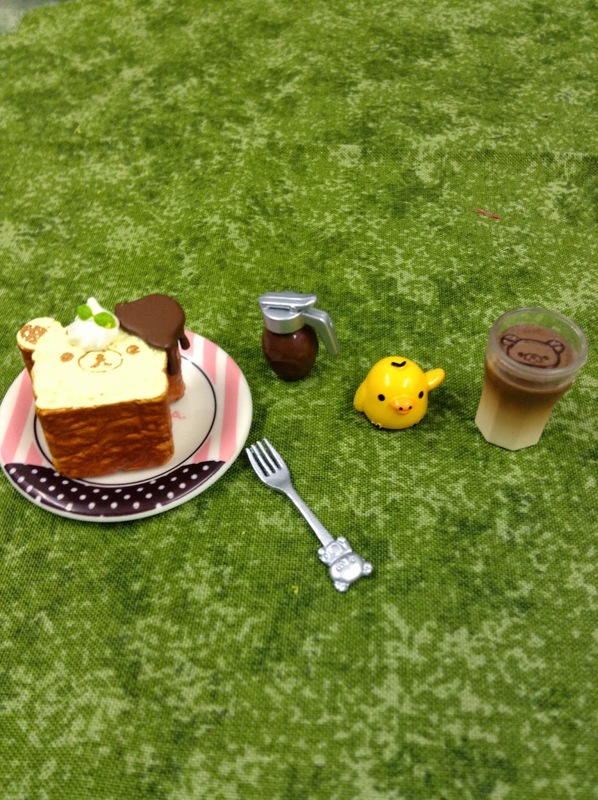 I get the impression that the Hello Kitty sets are of a slightly lower calibre than that of the Rilakkuma sets. No biggie though. 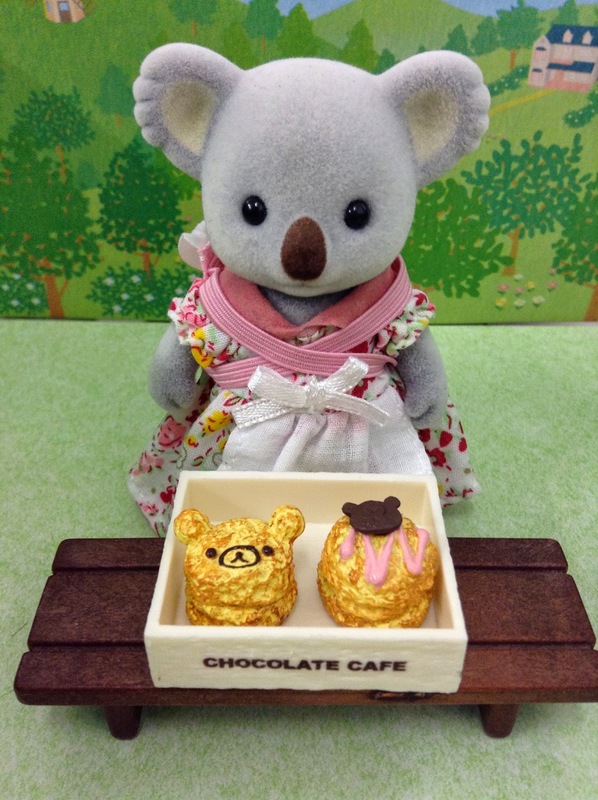 "That is some shopping bag, dear..."
This set is pretty darn cute - The cake stand is lovely, and the handle for lifting the cover is in the shape of a bear. There's also a trims sort of thing, a gorgeous big plate, a golden spoon and a huge cake slice. plate, cake tray, cupcake, spoon. "Can I have my dinner on this one, please, Daddy?" I love this one... The chick is really sweet, and I think Annabelle and Michelle are going to take speedy possession of it. There's lots of lovely pieces, such as a character-adorned fork. blob of cream, fork, coffee jug, chocolate drink. "And to my left we have a delicious chocolatey beverage..."
Manly enough for you, Charles? The final set... This one is lovely too, with two beverages, two cakes, a tray and a bag for your pastries. 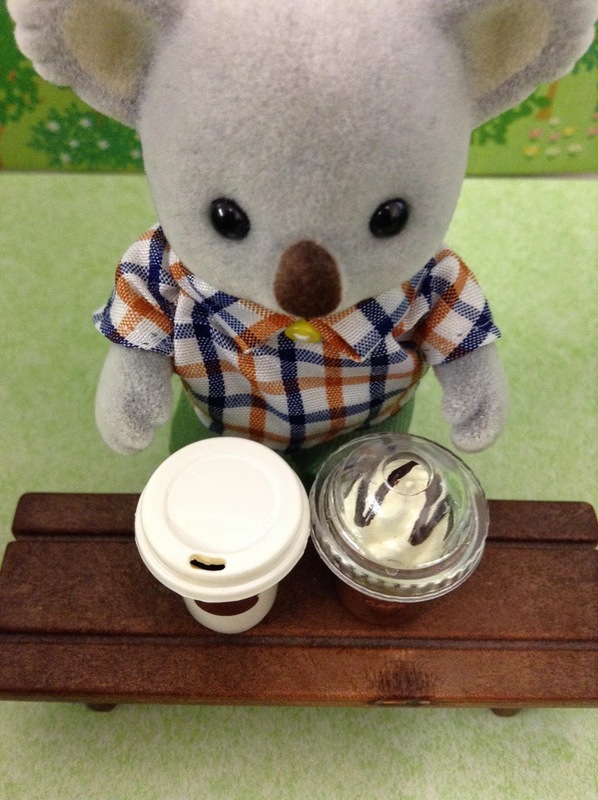 The lids for the drinks are very realistic - they look like shrunken versions of starbucks! Contents: Tray, 2 x cakes, coffee mug + lid, frappuccino + lid, bag. 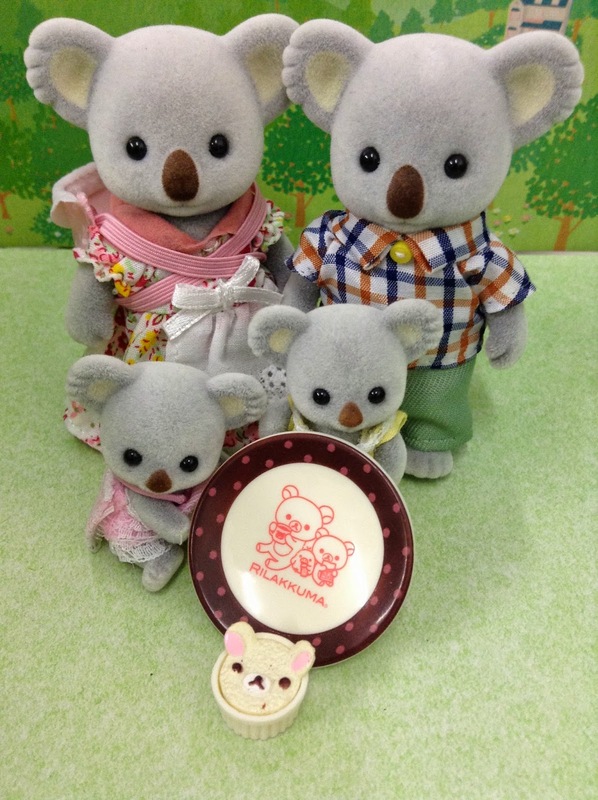 Re-ment is adorable, and http://www.modes4u.com/ is an awesome place to start your collection. I'd go for the Rilakkuma sets personally, as I think they're a lot cuter and better quality than the hello kitty ones, but each to their own. Overall, I'm just very happy, and the Outbacks are too - they're all stocked up for a very successful cafe opening! What gorgeous sets! I got two Hello Kitty sets, I was disappointed but the level of quality. 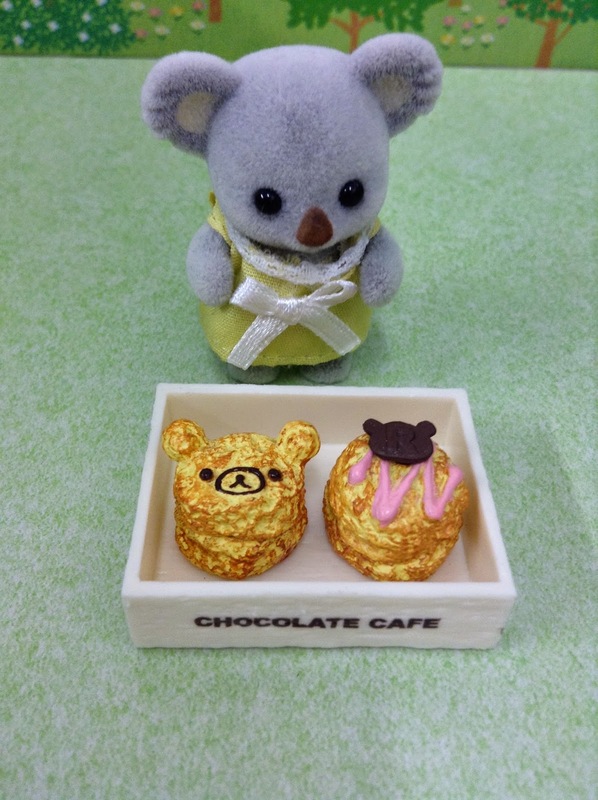 The plastic they are made of seems cheap and thin - in the future I will be sure to get Rilakkuma sets! 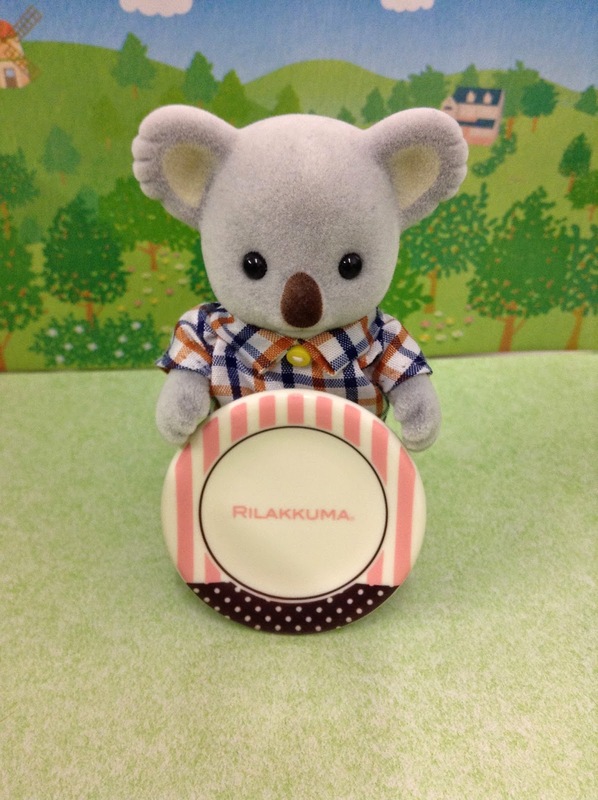 Rilakkuma is so cute, and I'm really quite impressed with the quality. Almost too cute though... I'm a little concerned I might develop a habit! !